Plastic mini-format spirit level. Quick horizontal alignment of elements, objects and components, even in inaccessible places. With original large-size Stabila precision vial – measuring accuracy in normal position is ± 1.0 mm/m. Equipment: 1 horizontal vial, 1 measuring surface. 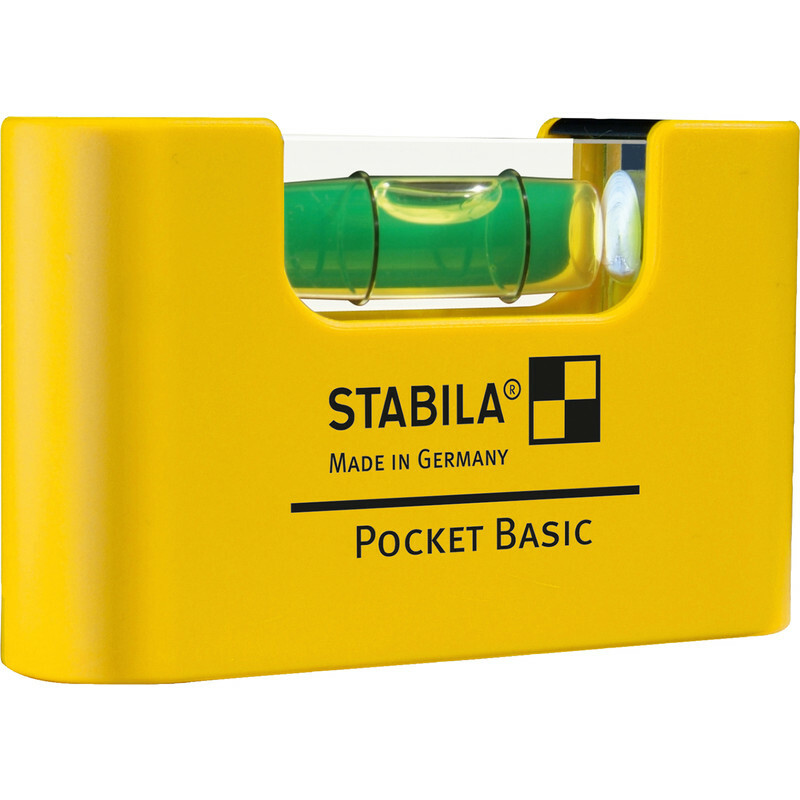 Stabila Pocket Basic Level is rated 5.0 out of 5 by 1. Rated 5 out of 5 by Dave2906 from Great mini spirit level Ideal for model makers where larger spirit levels are just too big.